As you can see above, hydrangeas suffer in the late afternoon. They often get a little wilty. The leaves are the first to show signs of stress. The blooms follow. Earlier in the week, I drove through driving rain (so intense it was hard to see the road), but returned home to find that we hadn't had a single drop at my house. That was a disappointment. Bring me rain, please! Isn't it hard to believe it's August already? Old timers say that as the years go by, time passes more quickly. I'm beginning to appreciate their wisdom. I haven't shopped the clothing departments in the stores yet, but I'm sure they are featuring wool in fall colors. It's hard to get excited about that when temperatures are approaching 100 degrees. I've enjoyed the snippets of the Olympics I've seen this week. I cannot stay up late enough at night to watch all the events NBC withholds until the last minutes of their nightly telecast. The schedule is definitely set to ensure viewers see every last advertisement and to influence ratings, not for viewer convenience. I guess in networking world, no one starts their day at 4:30 am. To me, prime time occurs between 7:00 and 9:00 pm. Anyhow, there have been some spectacular competitions, and I want to congratulate all the athletes (except for a few spoiled brats who were expelled for behaving badly during matches). Even those who don't medal are extremely talented and worked hard to get there. Perhaps since the weekend is starting, I'll get to see more of the events. On the beauty front, I can't wait to get my hands on some of the arrivals planned for September - like Chantecaille's elephants. I'm currently waiting for my new Giorgio Armani Palettes to arrive via UPS. I've been having fun with Guerlain's new collection, and I am thrilled with the Fleur de Lotus Collection from Chanel. I have many new bottles of fragrance to feature, along with two dynamite skin care brands that are new to me. I must write this weekend! This week, to celebrate Best Things in Beauty's three-year anniversary, I posted two giveaway contests. Make sure to enter them before tomorrow night, Saturday, August 4, at midnight. Bobbi Brown's Platinum Pink Shimmer Brick is as pretty as it gets - useful any time of year. Estée Lauder's new Violet Underground Pure Color 5-Color EyeShadow Palette is a stunner. There will be two lucky winners announced Sunday morning. It's hard to believe I've been writing Best Things in Beauty for three years, which brings me back to the wisdom of old timers. 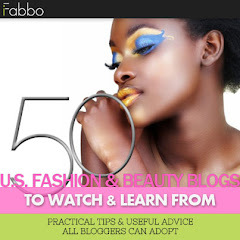 It seems like only months ago when I decided to give beauty blogging a try. Since that time, I feel like I've made friends - friends I treasure - in all of you. Thank you for making this endeavor rewarding and am important part of my life. It is hard to believe it's August, especially when I have a deadline at the end of the month and I have to do a lot of work until then. Yes NBC is very annoying and I would have liked to see more gymnastics than just the Americans, Russians, barely a Romanian and Chinese. Even if they didn't have great routines, I'd like variety! and not at 11:30 at night when I have to get up at the crack of dawn. I decided despite the heat to wear some makeup today and put out the new Armani Eyes to Kill in #24 which is so gorgeous. I'm really curious about those new palettes you're getting. Can't wait to hear about them. Other than that, waiting on the Shisheido extraits from Sephora that are slowly making their way to my house (argh Sephora!). I think though my freebies outnumber what I actually purchased! lol That's my story for this week. Happy three year anniversary! I know I am not the only one who is intensely grateful for your blog, and all the thoughtful, thorough reviews you write. You feature some wonderful products, and I have made many a purchase based on your recommendation. Not only do you excel at beauty blogging, but it is very clear from your writing that you are a classy, intelligent and sophisticated woman. Thank you for all your dedication to this blog and here is to many, many more years! I got my hands on Le Metier's eyelash curler and its Creme Fresh Tint in Mystique. I have never used an eyelash curler before, and I am really enjoying the results from this one. My purchase of an eyelash curler came after a disastrous attempt to apply falsh eyelashes. I was a hot mess that day! So, curling my eyelashes is a much easier alternative, and I like the results. Mystique is the gorgeous, cool pink for which I have been searching. I love it so much. I even wear it on my lips for a pale, pink/lavendar look, with a little gloss on top. I also picked up Youngblood's loose mineral foundation. I used BE mineral foundation back in the day, but stopped using it because I didn't love the finish. Since then I have stuck to liquid foundation. I am incredibly pleased with this Youngblood mineral foundation. It has excellent (medium to full) coverage, and a very nice satin finish. I am wearing it today and I am really enjoying it. I also started using Latisse. I am only about a week and a half into my application, so no results yet. Any ladies out there ever try this? Aside from some eye redness which has subsided, I don't have any side effects, which is good. I am curious to hear whether anyone has tried this. I love the Guerlain Les Fauves eye quad, Cg; you were right: It does make blue eyes bluer. Stunningly so. I bought the lip color Lust, too. Don't know on that. Can't wait for Armani! are these the new easy chic armani eye palettes that you blogged about earlier this week? where did you get them? I think the Olympics should be broadcast as they happen. Who doesn't have a video recorder? We could watch when we want, instead of being hostage to NBC's desire for ratings. Where does your Sephora ship from? Mine comes fast from Maryland. Check out the Armani on Nordstrom Beauty. Thank you, Kate. All of you regulars make my day! LMdB gave me several of those eyelash curlers, and I have to admit I don't use them. My lashes are perfectly fine as is. I understand it's great, though. It's way too early for you to see Latisse results. Keep at it!! Yes, they are available at Nordstrom's Web site. Now! On the beauty front, I didn't buy too much high-end stuff after grabbing those 2 Kevyn Aucoin items last week. I'm trying to save for Chantecaille's Fall collection too--that Fun cheek color WILL be mine! :P I can't wait. Have an amazing weekend, CG! Hope all is well! I also saw the pics of the Chanel and Dior Holiday collections, both beautiful, but only served to confirm they will cost me dearly ! Happy 3 year anniversary! I'm so glad I found your blog. I can't believe it's August already but I can't wait for September because I'm dying to get my hands on the new Chantecaille! LOL! I'll take one of everything please. I heard there is an adorable new kabuki brush to go along with the new HD powder. I can't wait! I've been MIA because I'm in London and watching the Olympics in "real time" :-) So, a pox on NBC! LOL I didn't want to miss wishing you a happy anniversary, though. It can't be said often enough: The Best Thing(s) in Beauty is you, dear Charlestongirl. I've been using Latisse for three years without any problems whatsoever. No iris discoloration, no redness, nothing except lovely lashes. Once you get your lashes to where you want them, you can cut your use back to 3 times a week and that works on most people for maintainance. I've always had long, black lashes, but at my age, they were beginning to thin out a bit. Latisse has rectified that. I don't use it for length so much as for fullness. A lot of women also use Latisse for thinning eyebrows although I don't because my brows are quite thick. A bottle of Latisse lasts me about three months and since my Derm has a buy one get one free a few times a year, the cost becomes negligible. I hope it works out for you. I must dash now. I'll be back in time for next week's forum. Have a great weekend, everyone. Did you like Coco Noir? I decided the patchouli was not polite and too much for me. Lucky you...being there...getting to see the action in person in real time. Happy Three! 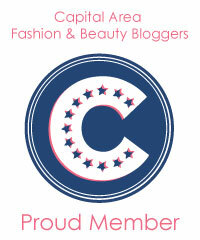 CG, love this beautiful blog and this beauty hangout you create here! Happy Three!! Thank you for great reviews and creating a sense of the "beauty community"! Have you heard anything about Le Métier de Beaute's fall collection? Three years and counting! Thank you for being an invaluable source to lovers of all things beauty. Have a great weekend. Yes, I do like Coco Noir as I'm a big fan of Coco Mademoiselle, but not the original Coco. I need no help to make my Chanel habit worse ! I forgot that I had a question. Hope I'm not too late. I need a true silver/gray eyeshadow. All the ones I have go blueish on me. Chanel's Infini and Furtif both look as if they'd pull blue on me. I can't get to a counter to try them, though. Does anyone have a suggestion? While I am a Chanel girl, I'm willing to try other high end brands. Rosemary, I can come back with more suggestions, but how about Benefit's Silver Spoon cream shadow? I think it's a GWP at Sephora right now. Have to go watch movie with Mom. Be back later. Look at the Armani Eyes to Kill Intense too. Do you want sparkle or not? CG, thank you for the fast and terrific response! I have only tried one Benefit product, the concealer, and it was so awful I had to throw it away. I don't think I'll try their shadow. Thank you again, CG. I hope you're enjoying the movie with your Mom. I hope it's something funny, or maybe one of the great old black and white classics. Thank you, Jane and Lena! I can never figure out what companies introduce where and when. Glad you got some beauties. Even though Coco Noir isn't "me," it will delight many. Rosemary, I'll add more silver suggestions tomorrow. There are many fine and pure (no blue) silvers. Happy Anniversary, Charleston Girl! I'm looking forward to many more years. The Olympics are different this year. They got off to a bad start for me when NBC aired several commericials during the opening ceremonies. It seems harder to avoid spoilers. It hasn't been social media, but the TV networks and breaking news e-mail messages. I've avoided watching the former and unsubscribed to the latter. Generally, I think ABC did a better job. Nevertheless, I have stayed up late to watch to the end, and I love the back stories. Eileen, I'm SO jealous! What events have you attended? It has been a bit of a sterile makeup week. Nothing remarkable - I'm just waiting for the fall collection. I hope you'll have more rain since you seem to need it but that I won't have any since we have had plenty of it : some sun would be lovely! Happy 3rd anniversary CG! I can only echo what others have already said - I'm so glad that I've found your blog. I look forward to reading for many more years to come!